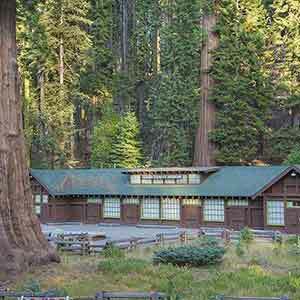 Most of Giant Sequoia National Monument’s old growth is scattered around the town of Camp Nelson, a sleepy collection of mountain cabins right at the lower edge of the Sierra pine forest. 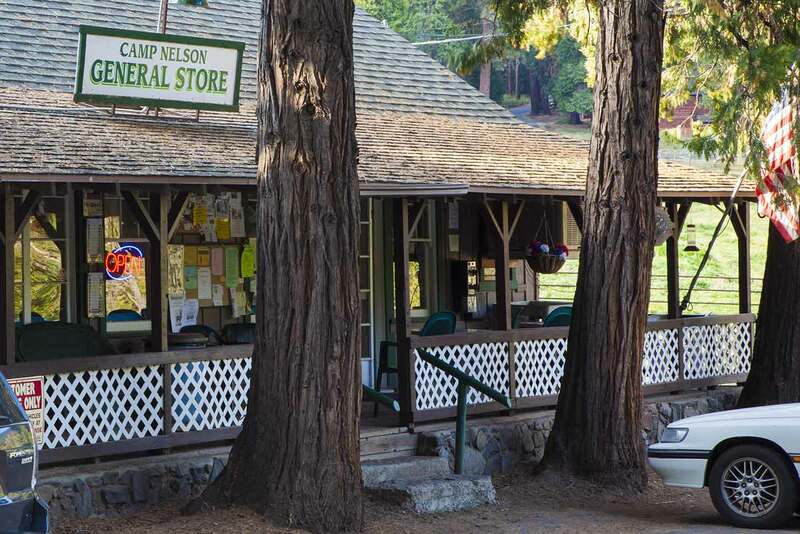 In its attractive basin between high conifer-covered ridges, Camp Nelson is surrounded by three large and mostly well-preserved groves: Black Mountain, Belknap Complex, and Freeman Creek. Also above Camp Nelson is a rolling plateau dotted with scenic meadows, epitomized by the large and scenic Smith and Failing Meadow, located on a little-used (and sometimes hard to follow) section of the Summit Trail. 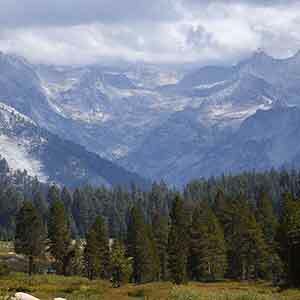 To the south of Camp Nelson is a series of smaller sequoia groves; this area has been much more heavily logged. 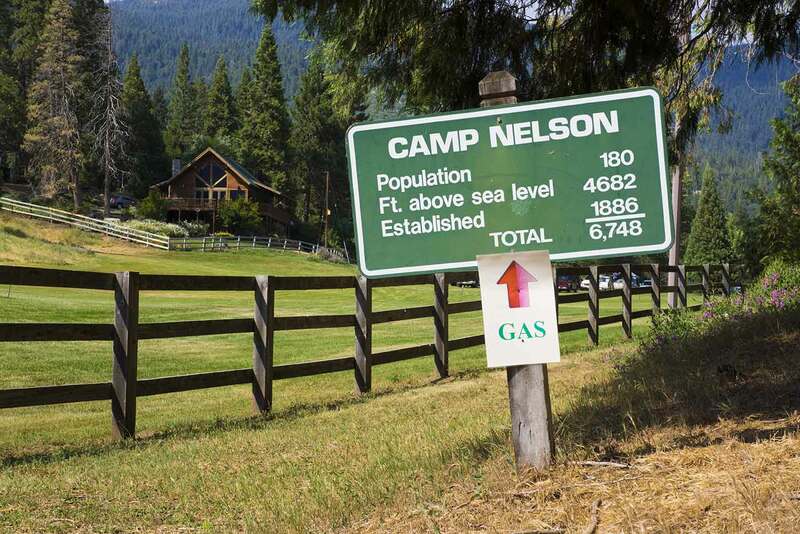 The amenities at Camp Nelson are pretty basic: there’s a bar/restaurant with a nice outdoor patio, an upscale 12-room motel with a usually deserted conference center, and a small grocery and hardware store. Starting in a creekside sequoia grove in the Belknap Complex, this hike makes a steep climb to a second, high-elevation sequoia grove. 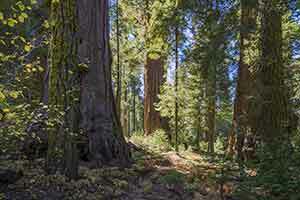 Although only about three-quarters of a mile of trail passes through the upper grove, it’s exceptionally scenic and open. 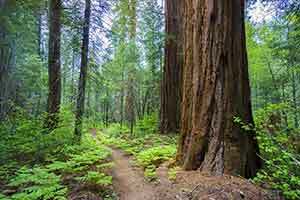 The Nelson Trail, which is popular with mountain bikers, runs through a densely-wooded, canyon-bottom sequoia grove in the Belknap Complex. 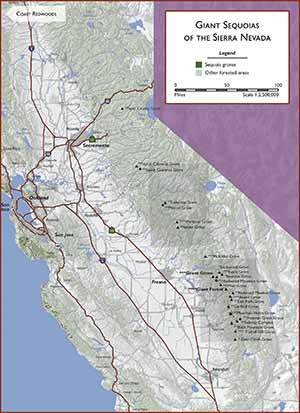 The sequoias are somewhat widely scattered. 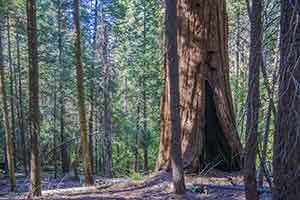 Another trail popular with mountain bikers, the Freeman Creek Trail descends to a lowland sequoia grove. 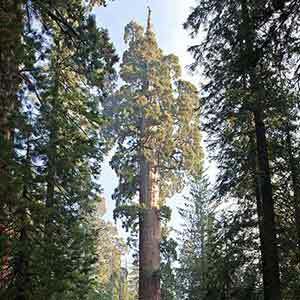 Most of the sequoias are at the end of the trail. 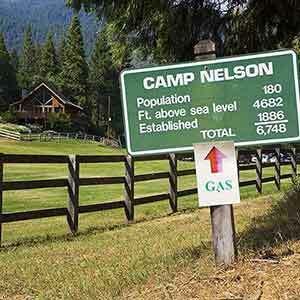 This is actually a drivable dirt road. 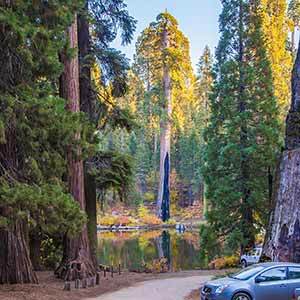 It’s kind of a dull hike since the sequoias are concentrated in a few small areas, but it’s possible to just drive to the best parts. 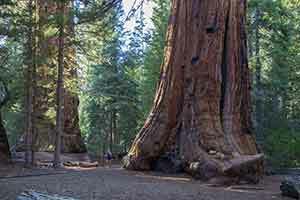 The sequoias in this remote grove are few and far between. 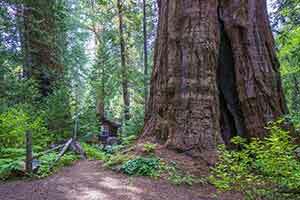 The most notable sight is a cluster of about a dozen large, old trees, which can be reached by taking this hike on an old logging road. 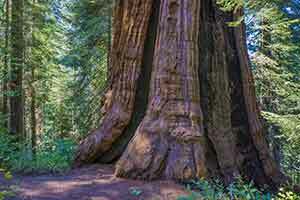 The Stagg Tree is a large, lone sequoia in the heavily-developed Alder Creek Grove. 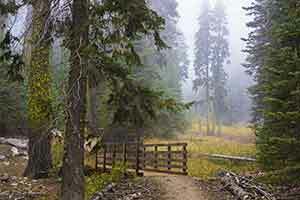 This unofficial trail near Coy Flat leads a half-mile to the Carr Wishon Grove. The trail is unremarkable and mostly level as it follows a water pipeline into the narrow Bear Creek canyon. As the canyon rises to meet the trail, the forest becomes much more lush and intriguing. 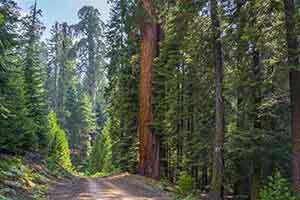 The trail ends just after it enters the grove; all that’s visible are three widely-spaced old-growth sequoias: a small one, a big one, and another small one.